Is your actual name Jenni Austria Germany? No, but that would be cool. After moving to Europe, I found that the consistent response to my introducing myself as 'Jennifer' was: "Ah, nice to meet you, Jenni!" And when I named my website that, friends began to call me that as well. Now I answer to both, and I also answer to my sisters' names, because, you know, parents. I first moved to Austria (Salzburg and Vienna) and then moved to Germany (Nuremberg and Dresden). I'm currently based out of Oxford, but Austria and Germany will always be my areas of expertise. What brought you to Europe in the first place? I originally came, in 2009, to study at the University of Salzburg, which more or less led to an internship at the US Embassy in Austria, followed by a Fulbright grant in Nuremberg, Germany, followed by a grant extension in Dresden, Germany. I am now at Oxford with my husband who is studying there. Where were you from 2012-2015 and why was your site down? I was in law school. I deactivated the URL because a) I had zero time and b) due to having zero time, I was unable to travel and contribute anything meaningful to the site. Which is better: Austria or Germany? I am very, very partial to Austria. It will always be my favorite. Moving to Germany, though, gave me the opportunity to see so much more of Europe and helped me to master the language so much more than living in Austria really allowed. If you want to be fluent in German, I recommend Germany over Austria. I do. Some days, I'm pretty fluent and other days, less so. Just the other day I mixed up "Wo" and "Wer" so maybe I'm actually just a total idiot. How does one live in Europe for so long? Are you just a spoiled kid with a trust fund? Why do you keep posting about the same places over and over and over? Do you ever go anywhere new? I tend to be very faithful to my top three: Salzburg, London, Cinque Terre. And once I fall in love with a place and learn its ins and outs, I keep going back. I am also personally opposed to cramming trips to several countries into a short amount of travel time, so if I have a week to spend somewhere, it's usually going to be in one place. And usually Salzburg, London or Cinque Terre..... old habits die hard. How have you had so much time to travel? Being a student at Uni. Salzburg enabled me to travel a ton because my classes took up minimal time. When I lived in Vienna, I had many 3-day weekends at the Embassy (US holidays + Austrian/Catholic holidays = a TON of holidays). And my Fulbright grants only required a few days' work per week, which allowed me to travel here, there and everywhere on the 3-4 day weekends. Currently, my husband's classes are flexible enough to allow for ample travel time as well. I really want to move to Europe. How can I? Number 1 most frequent question I get asked, hands down. The best answer I can come up with is: Teach English. I highly recommend doing "the Fulbright thing", though I should warn you that the application process requires 9 months of your blood, sweat and tears. So first, I'd look into Fulbright and if that seems too overwhelming/uninteresting to you, contact some language schools in your country/city of choice. Google is your friend! You will probably need some type of certification (TEFL or TESOL) but from what I understand, completing that process isn't too stressful of an undertaking. 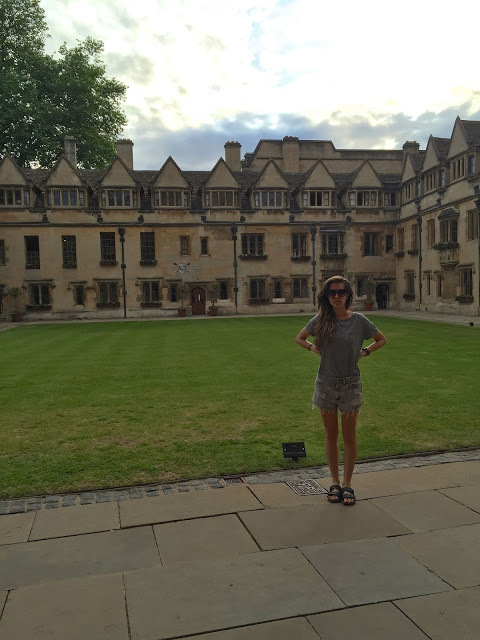 If you don't want to teach English, consider studying abroad! I sometimes think studying abroad should be required of every college student in America; it's truly an experience unlike any other. I always say that education abroad is the best gift my parents have ever given me. I'm sorry if this answer is a vague one. If you have more specific questions about it, feel free to contact me.